The organization brought on the WPP firm to mitigate negative coverage of the tourist destination after a State Department warning. LOS CABOS, MEXICO: Five years after Ogilvy’s work for the Mexico Tourism Board ended, the agency has picked up a six-figure assignment for the Los Cabos Tourism Board. The WPP firm will work to mitigate negative coverage of the Mexican tourism destination. Violence and criminal activity in the country prompted the State Department to issue a travel advisory for Mexico in August that includes Los Cabos. Ogilvy was hired to "neutralize the negative, promote the positive, and reset the media dialogue internationally," said Jennifer Risi, the firm’s worldwide chief communications officer. "We are helping to educate people about what is happening on the ground in Los Cabos and talk about the security plan it has in place as well as promote the destination in a positive way," said Risi. "Los Cabos is a safe and secure destination." Ogilvy is providing strategic counsel and reactive statements for major incidents affecting the destination following the travel advisory and handling related media relations activities. The firm is executing a strategic reputation and issues management media relations campaign that is targeting top-tier media outlets in the U.S.
"We are focusing on getting the message right and helping to get the right story out to the top journalists so they can educate the rest of the media," said Risi. "We are targeting outlets that influence other outlets and trade outlets." Ogilvy started working with the board on September 1. The firm has secured 18 media interviews and 10 pieces of coverage with trade and top-tier publications, including USA Today, Bloomberg News, The New York Times, Travel Weekly, CNBC, the Associated Press, Reuters, Cheddar, and MarketWatch. The team has also supported Los Cabos trade events in the U.S. by organizing a media roundtable with major trade publications in New York, as well as influencer meetings with top publications. "That is a lot for four weeks," said Risi. "We are trying to move quickly." Rodrigo Esponda, MD of the Los Cabos Tourism Board, previously spent more than 16 years working at the Mexico Tourism Board, most recently as regional director before switching jobs in late 2016. Ogilvy worked with Esponda during his tenure, and he specifically reached out to the WPP agency for assistance without conducting an RFP. Ogilvy's Media Influence Team based in New York is handling the account, with Risi providing senior counsel. The account’s day-to-day lead is Tola St. Matthew-Daniel, VP of the Ogilvy Media Influence Team. Risi declined to share the account budget, but said the pact is worth six figures. The contract is for six months but "will likely" continue into next year, she added. Ogilvy is working alongside Los Cabos Tourism Board’s AOR for consumer media engagement, NJF, which is the PR, social media, and experiential marketing division of MMGY Global. 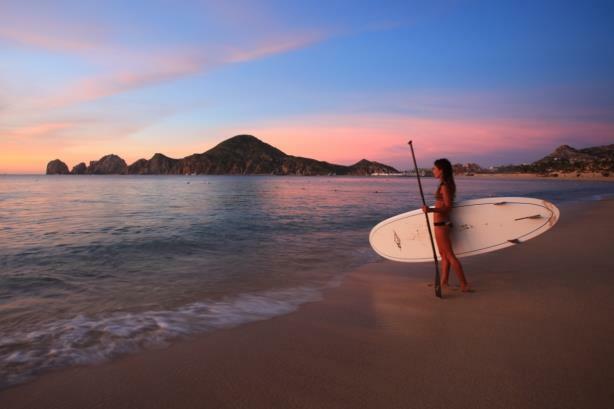 "Los Cabos is always seen as a beautiful place; it has a 70% repeat visitor rate," said Risi. "They have never had challenges like this. NJF has just been working with them to promote good news to mainstream lifestyle outlets. When this issue came up, they knew they had to have some additional help."